Unstoppable. 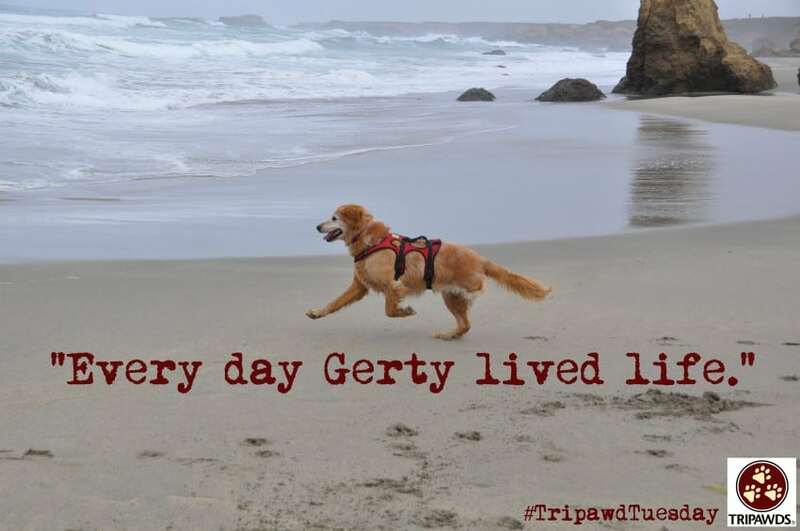 It’s a perfect way to describe today’s Tripawd Tuesday hero, Gerty. This sweet angel spent her life making a difference in and around the beautiful mountain community of Chester, California, with her mom Sandy. She’s an angel dog now, but her spirit is stronger than ever. We hope you enjoy Sandy’s inspirational story about her heart dog as much as we do. Today we salute a dog who made a big difference in the world! Gerty was a Tripawd. Not sure what kind of cancer she had but it was in the joint back left leg. This cancer was aggressive but only effected her leg so cutting it off, no cancer. This was in 2013. Gerty passed away in May of 2016 and was unrelated to the cancer in her leg. Gerty had a spirit like no other dog. She was my search and rescue dog certified in area, cadaver and water with California Rescue Dog Association. At the time of her amputation she was certified in water and cadaver. 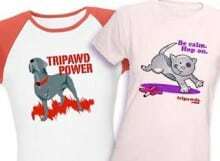 The Tripawd web site helped me so much. I was so worried Gerty would lose her spirit with her leg but that didn’t happen at all. Picture attached was our first trip to Fort Bragg and my Gerty running on the beach. NO stopping her. Every day Gerty lived life. At work I have this picture on my computer. A co-worker asked me why I photo shopped Gerty’s leg out of the picture… I replied I didn’t… She couldn’t believe Gerty could run on three legs but she didn’t know my Gerty.